April’s Arts in the Cards inspiration is Fly Away. With spring here, the garden centers are all flying those brightly colored plastic pennants that dance in the wind to draw attention to their new planting stock. 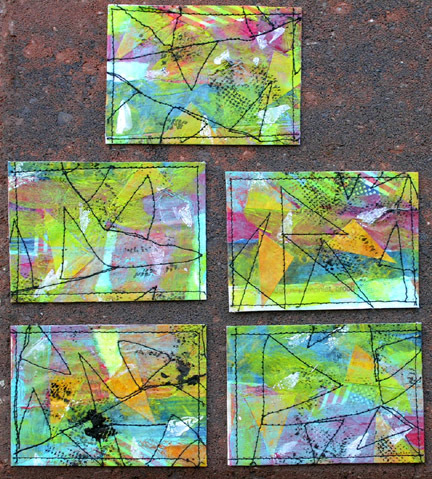 Those, and bright clear spring colors were my inspiration for this month’s trading cards.